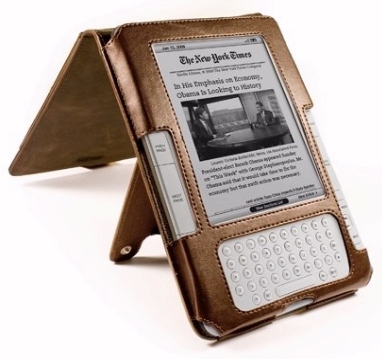 March is “National Reading Month,” and Amazon’s greeting it with a special deal on their Kindle! They’ve slashed its price by more than 25% — to just $59. It’s a “limited-time” offer, but it’s also Amazon’s way of making it easier to read. (Especially Kindle ebooks, from Amazon…) And Amazon’s also doing even more to encourage reading…. Amazon’s also created a new web page with links to more special collections of books. “What Will You Read This Month?” the page asks, with another subtitle: “Discover a New Story.” And the first link is Amazon’s impressive list of 100 Books to Read in a Lifetime. It’s “a bucket list of books to create a well-read life,” assembled by the editors at Amazon. Amazon’s also created a new page called Books to Look for This Spring. (“Twenty books we think you’ll be hearing a lot more about this season…”) Glenn Greenwald has written a new book about Edward Snowden, and 82-year-old novelist Tom Robbins is finally delivering a personal memoir, “stitching together stories of his unconventional life, from his Appalachian childhood to his globetrotting adventure”. And at the end of March, Michael Lewis will release another new investigation into Wall Street — this one highlighting “the good guys” who tried to reform a broken stock market…by creating their own. There’s lots of new and exciting things to read — and I have to admit that I’m reading more ever since Kindle came into my life. I can imagine a parent giving one to their children, to try to make reading seem high-tech and fancy and cutting-edge. But the most important thing will always be the books, and I feel like Amazon understands that too. Free eBooks by Michael Lewis? Michael Lewis has written at least five books which reached the New York Times best-seller list — and two of them were adapted into Hollywood movies. The Blind Side: Evolution of a Game shares the story of Michael Oher, a troubled teenager who (after being adopted in high school) goes on to become a professional football tackle. And Moneyball: The Art of Winning an Unfair Game tells the story of how Oakland’s low-budget baseball team devised a player-recruiting strategy which led to a 20-game winning streak in 2002, and ultimately revolutionized the sport of baseball. Lewis has also written some surprisingly insightful books about the financial industry, including Boomerang: Travels in the New Third World. So I was delighted to discover some free caches of Michael Lewis’s writing online — along with an easy way to deliver them to my Kindle! In the sports section of a tiny California bookstore, I’d discovered a wonderful Michael Lewis book from 2005 that I’d never heard of before. 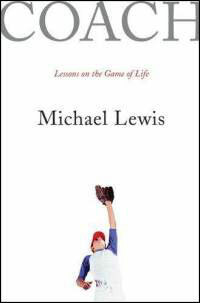 It’s a heartfelt memoir about his own high school baseball coach, and what young Michael Lewis learned when he took the pitcher’s mound in the 9th inning. Coach: Lessons on the Game of Life has a good point to make about today’s education system. But in typical Lewis style, he couples it with a great story. By the end of the story, I was convinced that this 96-page book would make a wonderful gift for a teacher — or maybe even for anybody who’s a parent. So I looked up the book on Amazon, where used hardcover editions of Coach: Lessons on the Game of Life are available for just one cent (plus shipping). “This is exactly the type of book you would want to send your grandchildren,” wrote one reviewer at Amazon, “or have your own children read.” There’s also a Kindle edition, which costs $8.99 — but then I discovered a delightful surprise. One of the reviewers pointed out that the widely-spaced book was simply re-publishing a 9000-word article that Lewis wrote for the New York Times magazine. So I pulled up the article online, and then send it straight to my Kindle using the plug-in that Amazon built for my web browser. I don’t usually send articles to my Kindle for reading later – but this was the length of a small book. It looks like the reviewer is correct. Michael Lewis is the managing editor of Vanity Fair magazine, and the site includes an archive with all of his past articles. They’re all there, with enticing titles like Beware of Greeks Bearing Bonds and The Man Who Crashed the World. So the next time I’m craving the sharp insights of Michael Lewis, maybe I’ll just send those web pages to my Kindle!